The number of residential transactions in Hong Kong plunged by 70 percent on an annual basis last month, as buyers shunned the housing market amidst falling prices and economic uncertainty, reported Bloomberg. According to government data, only 1,807 units were sold in February compared to 2,045 in the previous month. This is a far cry from the 6,027 transactions recorded during the same period last year. “The newspapers keep on saying the market is going down and buyers think they can get a cheaper house half-a-year later or one year later, and so are waiting,” said Centaline Property Agency salesperson Thomas Fok, who hasn’t sold a single unit at the city’s upscale Mid-levels West district this year. In addition, home prices fell 10 percent from their September peak due to worries over China’s slowing economy and the plan by Hong Kong authorities to raise the supply of residential units in the next five years. Local officials also reiterated that the existing property cooling measures will remain in place. As such, BOCOM International Holdings’ analyst Alfred Lau believes that home prices in the city could fall by 30 percent in 2016. 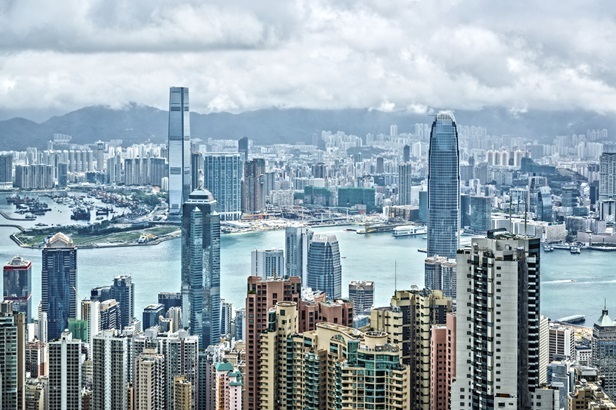 Given this challenging environment, Sun Hung Kai Properties slashed its sales target in Hong Kong by 18 percent to HK$27 billion for the whole of 2016. Sales by New World Development also plunged 79 percent during the first half of its financial year to HK$2.8 billion, which is just 28 percent of its full-year target. Despite the challenging situation, some developers still see opportunities in Hong Kong. For instance, Goldin Financial Holdings’ Chairman Pan Sutong feels that prices of luxury homes will remain resilient, especially for those located in areas with limited supply. Earlier this month, his company submitted the winning bid of HK$6.38 billion for a land parcel in the posh neighbourhood of Ho Man Tin, where a subway station is being built.